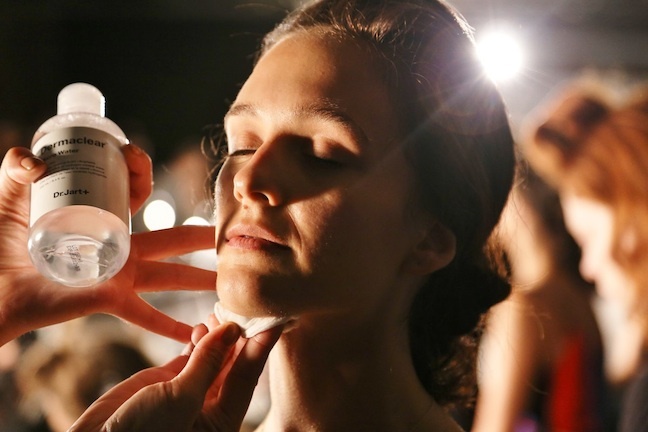 Korean skin care played a major part backstage in the beauty looks for the Opening Ceremony spring/summer 2016 fashion show. Photo by Anna Webber/Getty Images for Dr. Jart. 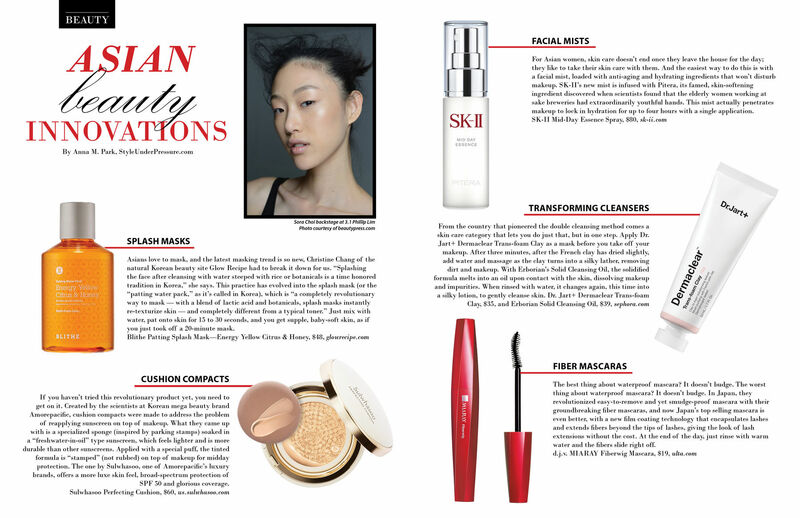 In my latest story for Composure Magazine, I highlight five hot beauty innovations out of South Korea and Japan, from the oft-praised cushion compact, which I cannot emphasize enough needs to be in every woman’s beauty arsenal, Asian or otherwise, to the super convenient, super easy patting splash mask, which will transform the way you mask (and save you over an hour a week). Herewith, the beauty products you need to keep you ahead of the skin care game. If you haven’t tried this revolutionary product yet, you need to get on it. Created by the scientists at Korean mega beauty brand Amorepacific, cushion compacts were made to address the problem of reapplying sunscreen on top of makeup. What they came up with is a specialized sponge (inspired by parking stamps) soaked in a “freshwater-in-oil” type sunscreen, which feels lighter and is more durable than other sunscreens. Applied with a special puff, the tinted formula is “stamped” (not rubbed) on top of makeup for midday protection. The one by Sulwhasoo, one of Amorepacific’s luxury brands, offers a more luxe skinfeel, broad-spectrum protection of SPF 50 and glorious coverage. Sulwhasoo Perfecting Cushion, $60. Asians love to mask, and the latest masking trend is so new, Christine Chang of the natural Korean beauty site Glow Recipe had to break it down for us. “Splashing the face after cleansing with water steeped with rice or botanicals is a time honored tradition in Korea,” she says. This practice has evolved into the splash mask (or the “patting water pack,” as it’s called in Korea), which is “a completely revolutionary way to mask — with a blend of lactic acid and botanicals, splash masks instantly re-texturize skin — and completely different from a typical toner.” Just mix with water, pat onto skin for 15 to 30 seconds, and you get supple, baby-soft skin, as if you just took off a 20-minute mask. 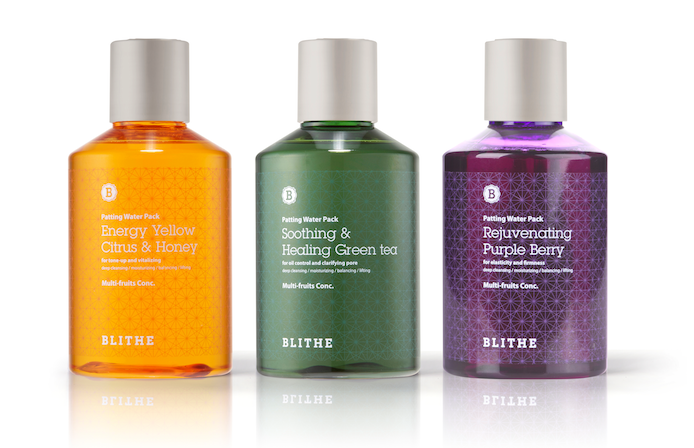 Blithe Patting Splash Mask—Energy Yellow Citrus & Honey, $48. For Asian women, skin care doesn’t end once they leave the house for the day; they like to take their skin care with them. And the easiest way to do this is with a facial mist, loaded with anti-aging and hydrating ingredients that won’t disturb makeup. SK-II’s new mist is infused with Pitera, its famed, skin-softening ingredient discovered when scientists found that the elderly women working at sake breweries had extraordinarily youthful hands. This mist actually penetrates makeup to lock in hydration for up to four hours with a single application. 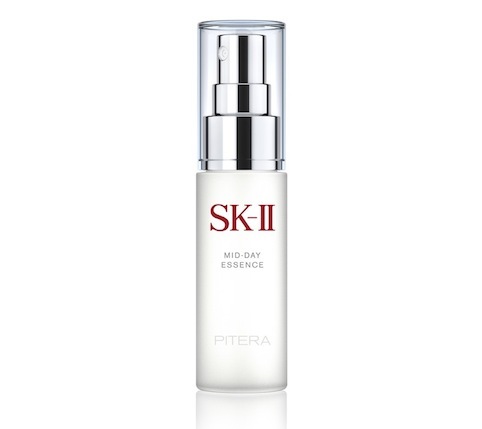 SK-II Mid-Day Essence Spray, $80. Erborian Solid Cleansing Oil and Dr. Jart+ Dermaclear Trans-form Clay. From the country that pioneered the double cleansing method comes a skin care category that lets you do just that, but in one step. Apply Dr. Jart+ Dermaclear Trans-foam Clay as a mask before you take off your makeup. After three minutes, after the French clay has dried slightly, add water and massage as the clay turns into a silky lather, removing dirt and makeup. With Erborian’s Solid Cleansing Oil, the solidified formula melts into an oil upon contact with the skin, dissolving makeup and impurities. When rinsed with water, it changes again, this time into a silky lotion, to gently cleanse skin. 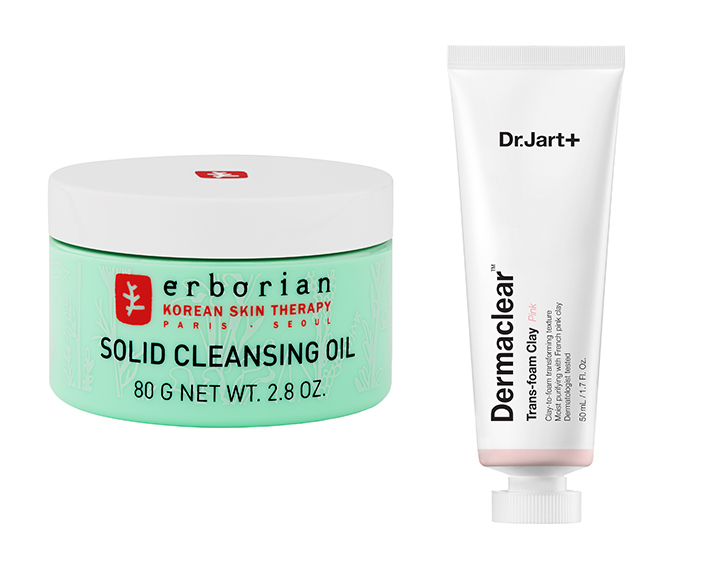 Dr. Jart+ Dermaclear Trans-foam Clay, $35, and Erborian Solid Cleansing Oil, $39. The best thing about waterproof mascara? It doesn’t budge. The worst thing about waterproof mascara? It doesn’t budge. In Japan, they revolutionized easy-to-remove and yet smudge-proof mascara with their groundbreaking fiber mascaras, and now Japan’s top selling mascara is even better, with a new film coating technology that encapsulates lashes and extends fibers beyond the tips of lashes, giving the look of lash extensions without the cost. At the end of the day, just rinse with warm water and the fibers slide right off. d.j.v. 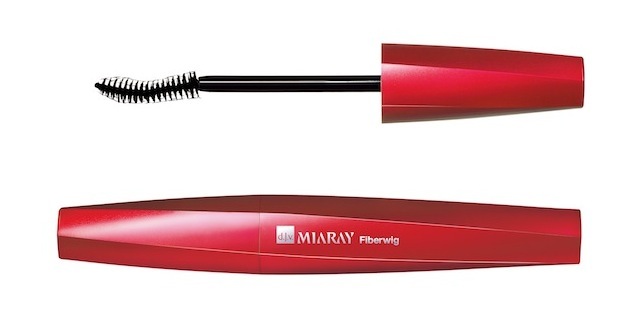 MIARAY Fiberwig Mascara, $19. Written by me, originally published in Composure Magazine.